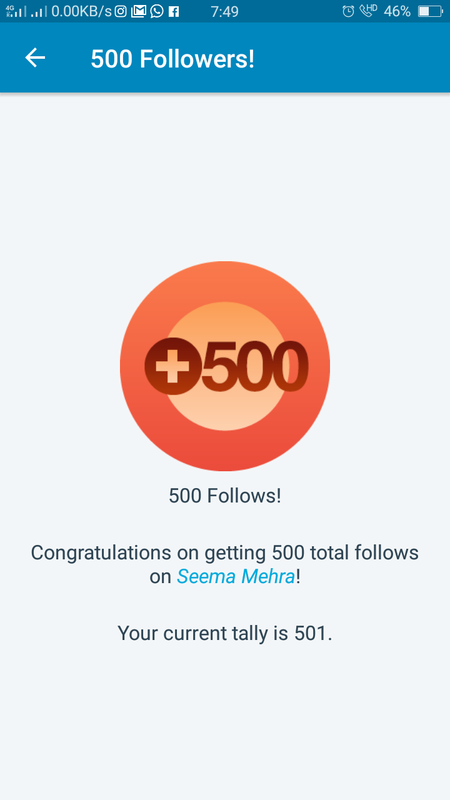 Thank you so much all of you my readers and fellow bloggers for the love and support.Today I have got 500 followers,i can’t tell you how much happy I am as it means alot. Keep reading and keep loving me..
Congratulations and wishing you many more !! Congratulations, what a beautiful number!!! 1. Congratulations on getting 500 followers. 2. I don’t blog at Reflections and haven’t in years. I appreciate you following my blog, but I don’t blog there anymore. Where did you find such an old blog? I’d be delighted if you signed up for that blog.